The CD color Manual includes a variety of tips for growers. 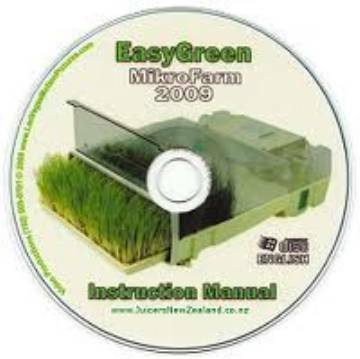 Information about seeds, how to grow a variety of sprouts and greens, wheatgrass and more. Video clips are embedded to give a visual for perfect understanding.